The work of STEM professionals has led to some of the greatest achievements in human history, yet the general public is far too often unaware of their accomplishments. This is an issue of marketing – not an issue of content. The way we present STEM in America needs to change. It needs to be more inclusive, engaging, and relevant. The space industry has a large role to play in shaping the public perception of STEM, as do teachers, students, artists, and filmmakers alike. Everyone can, and must, contribute. 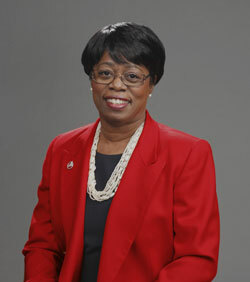 Dr. Wanda M. Austin is president and CEO of The Aerospace Corporation, a leading architect for the nation’s national security space programs. She is internationally recognized for her work in satellite and payload system acquisition, systems engineering and system simulation. Dr. Austin has served on President Obama’s Review of Human Spaceflight Plans Committee and was appointed to the Defense Science Board. She is a fellow of AIAA and a member of the National Academy of Engineering, the International Academy of Astronautics and AAAS. Dr. Austin earned a bachelor’s degree in mathematics from Franklin & Marshall College, master’s degrees in systems engineering and mathematics from the University of Pittsburgh, and a doctorate in systems engineering from the University of Southern California.